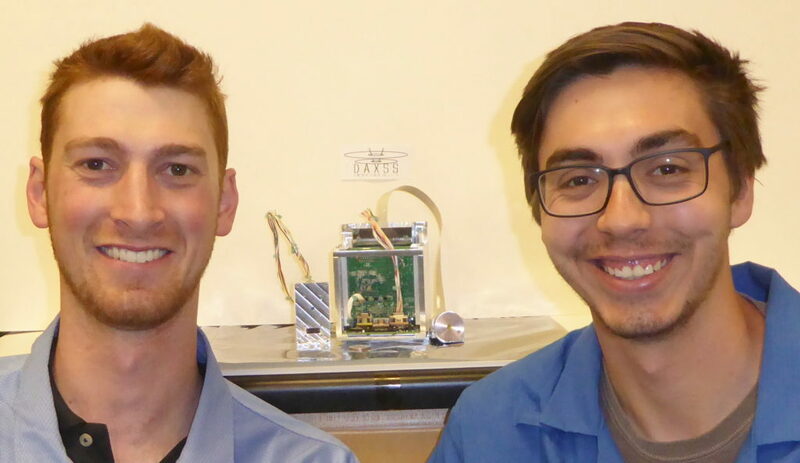 April 14, 2019 – In the wake of an unfortunate event, two University of Colorado Boulder (CU) graduate students have accomplished a remarkable feat in space science: they’ve designed and built a new satellite instrument in less than three months. The International Satellite Program in Research and Education (INSPIRE) is a consortium of global space universities, led by LASP, and formed to advance student leadership in space science and engineering. Each INSPIRE small satellite will proceed from concept to flight in three years, providing the opportunity for undergraduate and graduate student involvement in small satellite design, building, testing, and operations. INSPIRESat-1 is scheduled to launch in early 2020 and partners include CU Boulder, the Indian Institute of Science and Technology, National Central University of Taiwan, and Nanyang Technological University in Singapore.